– 1 1/2 cups of Frozen Mixed Berried ( Raspberry, Blueberry, Black berry) Or half a cup of each. Freeze Berries Overnight or for a few hours, or you can buy a Frozen Mixed berry bag! 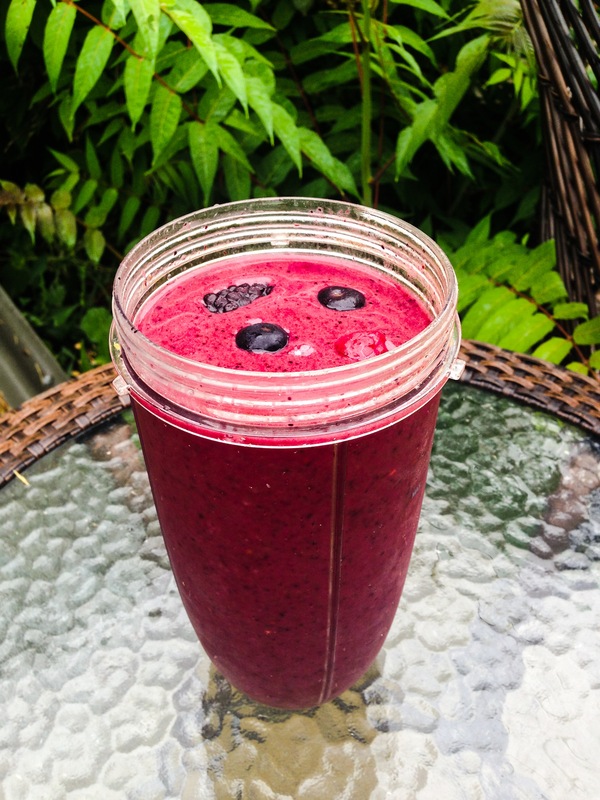 Put Bananas and the berries into your Blender and cover with Cold water (32Oz) and BLEND for 1 minute. Previous My Secrets to Healthy, Beautiful & Glowing Skin! Does your NutriBullet smooth out the blackberry seeds? I love blackberries but the ninja I have will NOT blend the seeds and it drives me nuts! Not an entire minute, maybe I’ll try longer thanks! This is my favorite type of smoothie. SO GOOD. I love to add a little spinach or kale too for an extra dose of veggies!